Sick of digging around the dark closests, shelves, and cabinets in your home? We were too... which is exactly why we created the Click: A 3 foot long string of bright LEDs attached to a big, easy-to-find power button that makes a very satisfying *click* when activated. The Luminoodle Click doesn't require a power outlet or an expensive electrician to install. Just throw in the included batteries, adhere it to the surface of your choice and voila: Let there be light! Every home has areas that are under-lit, and lighting these spaces can be difficult and expensive. 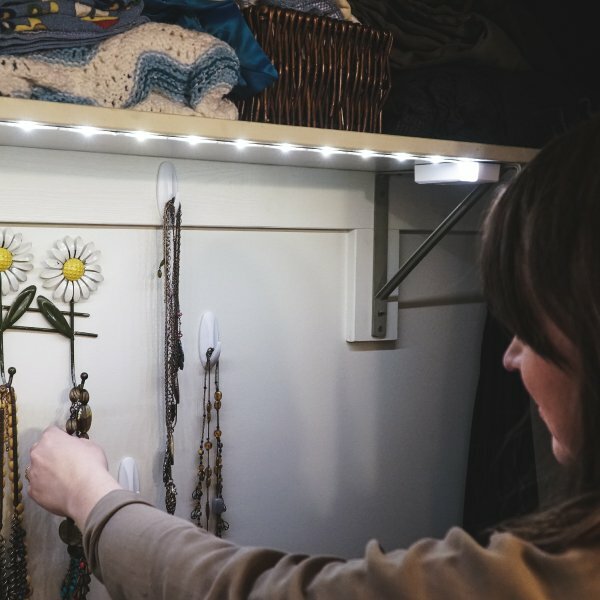 The Luminoodle Click is perfect for providing useful light for closets, pantries, sheds, and anywhere your house is lacking light. And the best part? You don’t need an outlet or electrician. 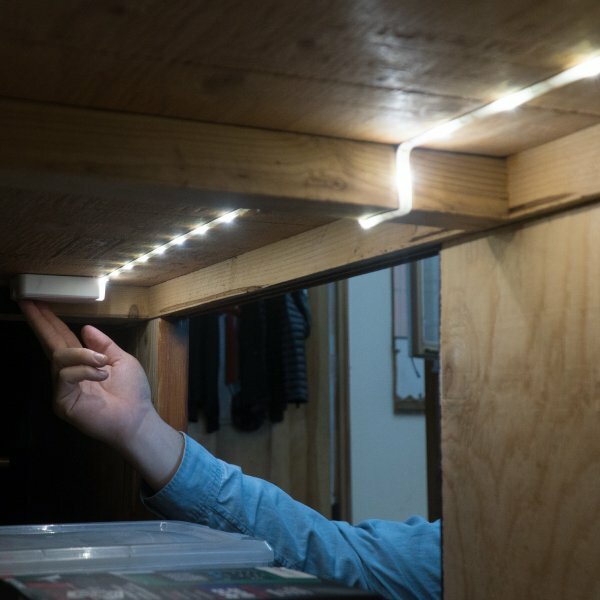 With three feet of flexible LED light, the Click will brighten up your home’s most unique nooks and crannies. It's simple design blends right in while providing light exactly where you need it. Designed to provide even lighting with 18 bright LEDs spread evenly over 3 feet and is available in 2700K warm white and 5000K Daylight to match your existing lighting. 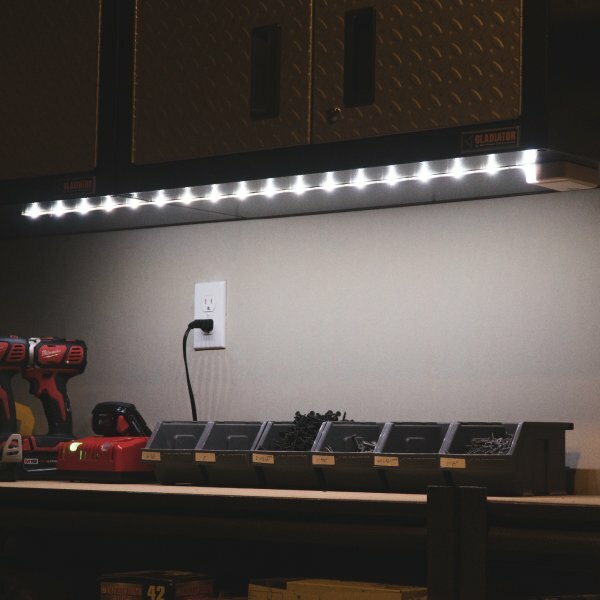 It’s the perfect light for all the dark nooks and crannies around your home, garage, shed, or RV. Quickly install the Click’s flexible and waterproof LED strip anywhere with the built-in 3M adhesive. 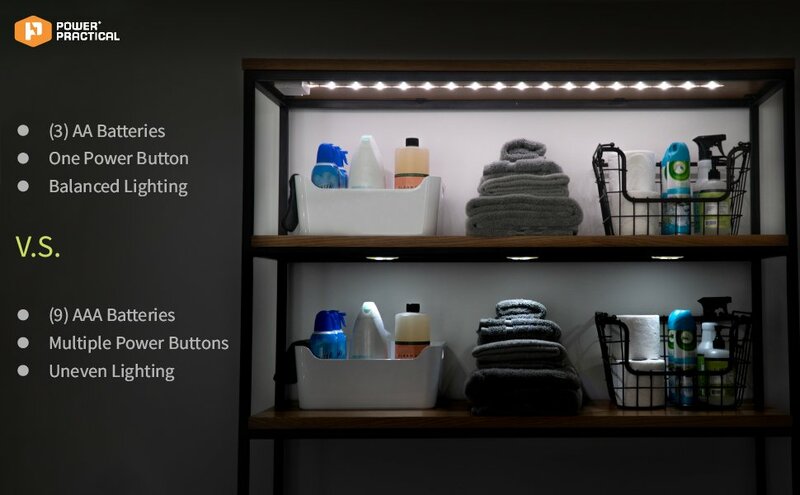 No need for an electrician or wall outlet, the Click Includes three AA batteries to give you hours of usable light that are easily replaced when necessary. No need to wave your hand or dance every 30 seconds to keep the light on like motion sensor lights. With a simple and satisfying push of the oversized power button, you have complete control of when the Luminoodle Click is on and off. How Does the Click Compare to the Competition?